Looking for a contractor to help you our with your air conditioning. You’ve come to the right place! We feel privileged that you’re considering us. We’re eager to assist your business by providing quality American Standard commercial AC repair Fort Lauderdale Florida. 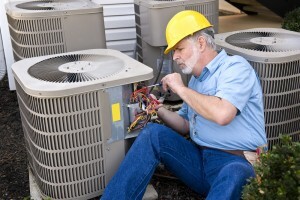 Having a working air conditioner is important to every South Florida business. Without a way of regulating room temperatures, your indoor environment can become unbearable for employees and customers. In addition, the high Florida heat places expensive equipment at risk of damages. Here at Air Conditioning Excellence, Inc., we have over 30 years’ worth of experience providing South Florida businesses with American Standard commercial AC repair Fort Lauderdale FL. 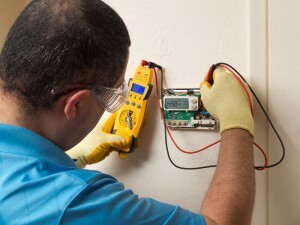 We know what it takes to get your unit back to its peak working condition. If you’re unsure whether your HVAC system currently needs work, here’s some useful information based on some of the most common air conditioning problems people encounter. What makes air conditioners convenient is their ability to change the temperature indoors automatically. All you have to do is program your AC and it does all the work for you. This is thanks to the complex electrical systems within your unit. If these electrical components are damaged, however, your air conditioner won’t perform its function properly. These issues can’t be accurately pinpointed from the outside, but if you find that your AC isn’t cooling even though it’s switched on, go ahead and call us. Our HVAC tech will be able to diagnose the problems and perform the appropriate American Standard commercial AC repair Fort Lauderdale. Refrigerant is vital to the proper functioning of your AC. Without it, your air conditioner can’t cool your place of business. Thus, it’s important to identify refrigerant leaks as soon as possible. If you discover that your air conditioner is running on low levels of refrigerant, a leak may be a cause. Call us without hesitation to diagnose the problem and perform American Standard commercial AC repair Fort Lauderdale. A working HVAC unit drains the condensate it produces. But if the condensate drain is damaged, it may lead to leaks that damage your property and put your health at risk. Call us immediately in the event of condensate drain leaks. (954) 368-0655. We know there are lots of AC companies out there in South Florida. We offer a quality, comfortable experience above that available with the competition. In the event you need installation of a new air conditioner to replace one that’s bit the dust, AC Excellence facilitates the purchase of your new equipment with convenient financing. You can get your AC unit today and then pay-as-you-go. It’s no wonder why we’ve become the number one company for businesses in South Florida in need of American Standard commercial AC repair Fort Lauderdale. We offer quality service, low prices, and flexible payment plans. Call Us Today! (954) 368-0655. Share the post "American Standard Commercial AC Repair Fort Lauderdale FL"